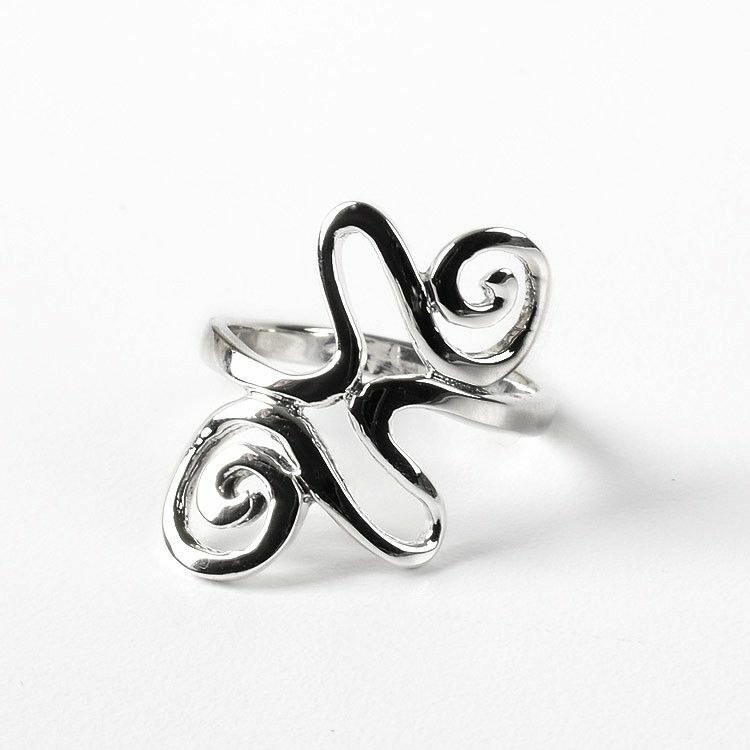 This sterling silver ring features an interesting design of swirls and squiggles. The face measures 7/8" at it's largest. 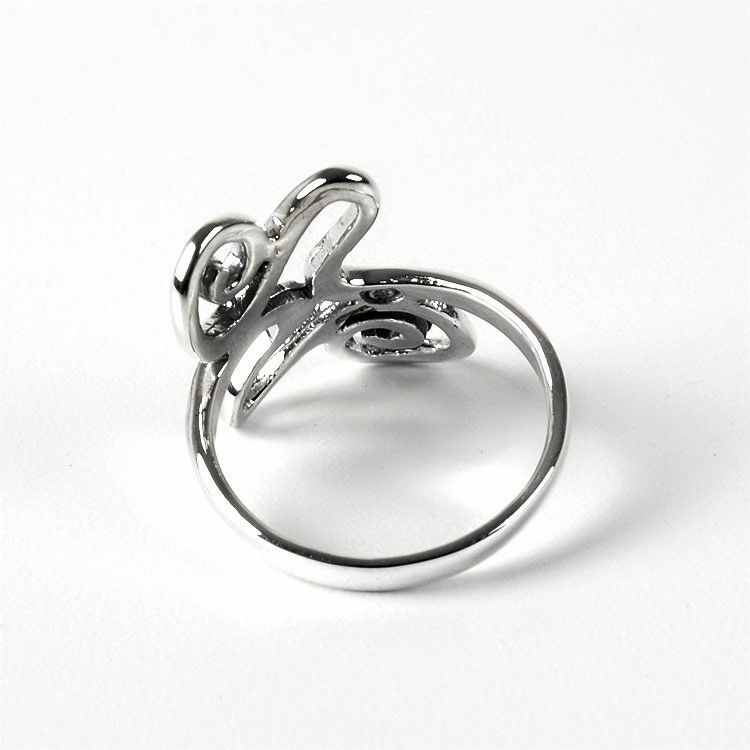 A great gift for any occasion, such a fun design is sure to go with any outfit.